This redesigned tuner will help you tune up faster. 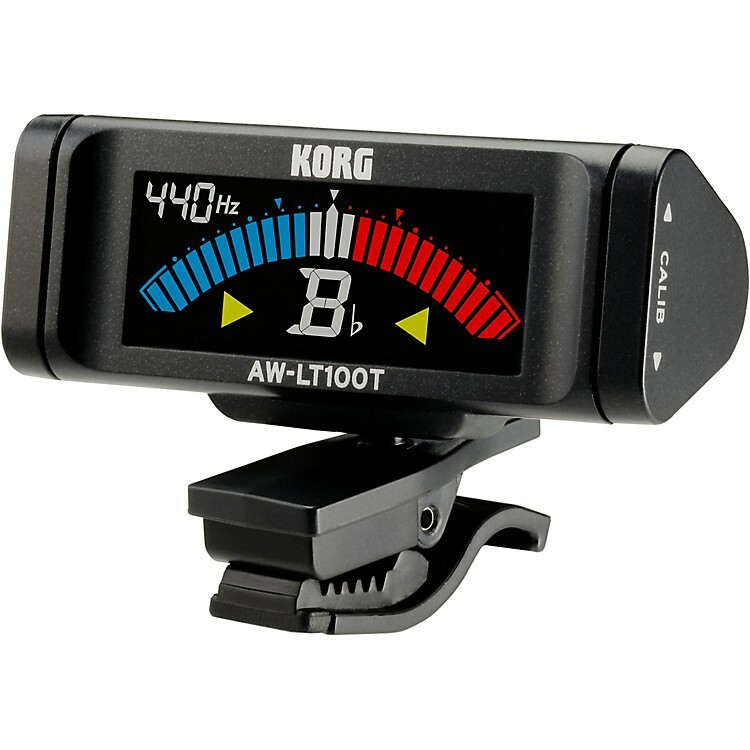 Korg's AW-LT100 line of clip-on tuners offer high-precision tuning, a vivid, full-color display and an incredible 100 hours of battery life. The AW-LT100T is equipped with a small clip that's optimized for attachment to the bell of a trumpet, cornet or trombone. The body's lightweight design features triangular shuttle switches that allow intuitive operation. You can easily position the tuner for best visibility, allowing you to stay aware of your own pitch while you practice.